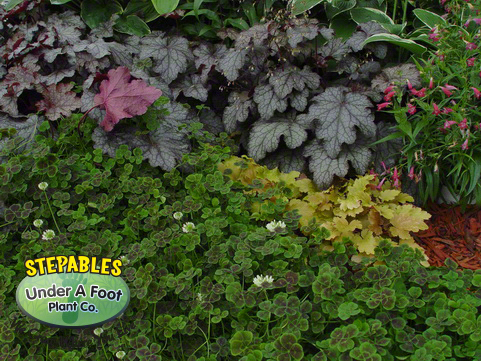 Trifolium repens Atropurpurea is a great STEPABLES Creeping Perennial for any garden! We think so highly of it that we added it to our Tough Ten Program! 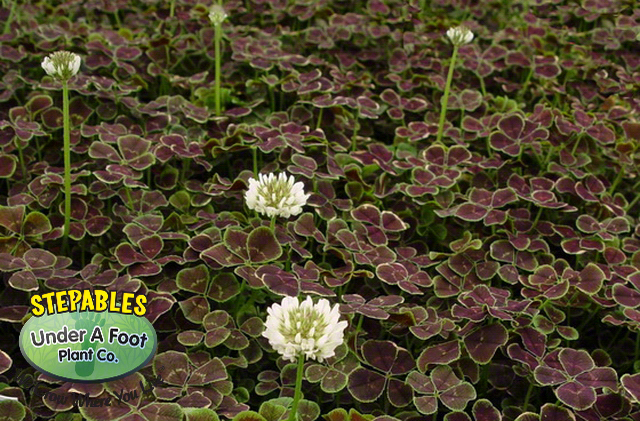 Bronze Dutch Clover has deeply divided, reddish-bronze leaves edged in green. Charming white pom-pom flowers adorn the top of the bronzy foliage in summer. It will do tremendously well draping over a retaining wall, edging a pond or surrounding ferns and hostas in a shade garden. 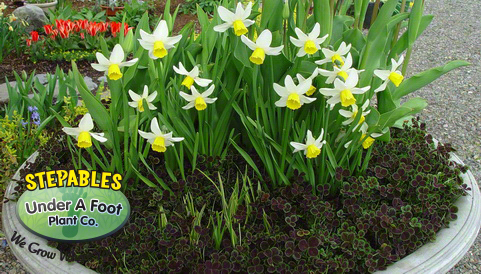 Also terrific in a container over top of flower bulbs. Needs adequate light or it will stretch. This plant will be gain more red color in the sun, more green in the shade. Trifolium repens Atropurpurea grows by underground and above ground runners, making it an excellent plant for choking out weeds, filling in nooks and crannies or covering flower bulbs. I really do love the color on this plant, but if you want the rich red tones, it needs a lot of light. Too much shade will turn it to green. 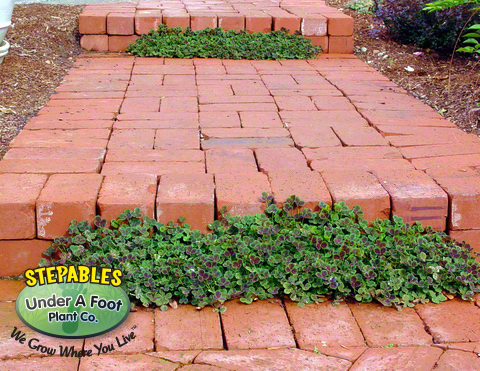 Want More Landscaping Ideas? Check Out Our Bark Replacement, Retaining Walls and Around Perennials Garden Photos for More Great Landscaping Solutions!